is an assistant professor and director of predoctoral periodontal education at the Department of Periodontics, University of Maryland School of Dentistry and Diplomate of the American Board of Periodontology. 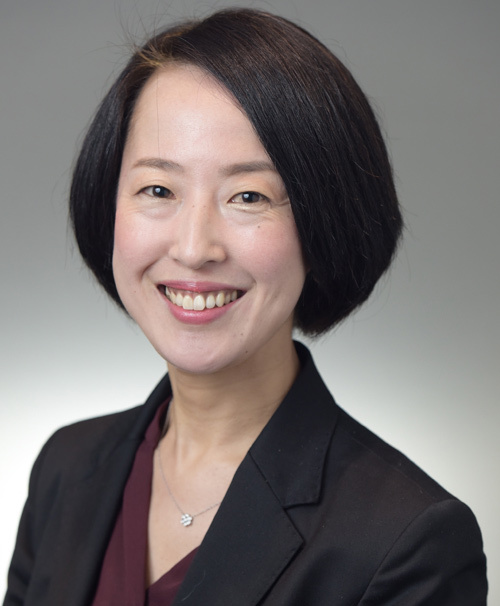 She also serves as visiting professor at Kanagawa Dental University and visiting lecturer at Iwate Medical University Dental School in Japan. She graduated dental school in Japan then received a Master of Science in Clinical Research from New York University College of Dentistry. Since then, she has been coordinating and conducting numerous clinical and animal studies mainly in dental implants and bone grafting materials throughout her years before and during her training in periodontics at New York University College of Dentistry. After she started a full-time position in academia, her main interest continues to be clinical research, although her most enjoyable and rewarding professional experiences is clinical and didactic teaching for both predoctral students and postgraduate residents and patient care at the School. She received the American Academy of Periodontology Foundation Nevins Education and Clinical Research Fellowship award in 2014. In past few years, she has been involved in a series of the projects related to post-extraction immediate implant placement with provisional restoration/custom abutment; parts of that research have been published on peer-reviewed journals. Most recent research topics are on peri-implant fiber attachment on various provisional/final restorative materials and their relationship with plaque which she has given talks and research presentations.